Parenting and guilt are long-time bed fellows. Have you ever met a mum who has never beaten herself up about a problem her child is experiencing? Is it any wonder that we blame ourselves when society blames us too? Research tells us that holding mothers responsible for the health and well being of their children is a ‘serious and pervasive problem’. Of course, as parents we do have a responsibility for supporting our children to be their healthiest, happiest selves but this is different from saying that when things aren’t working as we would like them to, it is all our fault. Feeding our children ‘successfully’ is a primal instinct. This makes sense because without it, the very survival of the human race would be in jeopardy. But this leaves us open to some powerful negative emotions, and it starts right at the beginning of the journey of motherhood – in my book I quote a study looking at women’s response to problems with breastfeeding; feelings of failure are so profoundly felt at a time when women are already exhausted and vulnerable. I can remember crying in the small hours when I just couldn’t get feeding right with my first daughter. I was SO tired and in pain but instead of being compassionate towards myself and recognising all the good stuff I was doing as a new mum stumbling her way through those early weeks, all I could focus on was what wasn’t going well. At 3 am with a hungry baby who (I figured out later) was just too tiny to open her mouth wide enough to latch on properly, I felt like a failure. I don’t think I have ever worked with a mum of a picky eater who hasn’t talked about guilt and self- blame. Please note: I am the first person to shout about the role of fathers in successful feeding, but 90% of my clients are mums and to be honest, I haven’t seen the same urge towards self-blame in the dads I see. Men – feel free to comment and take me up on this! Self-blame is compounded by blame coming at you from society. It can be so tough in social situations for parents of children who will only accept a limited range of food. Not only is there the anticipation of things being hard (they won’t like anything off the menu… they will feel different because they have brought along their own food to a party…) there is also the fear of being judged by other parents. I was shouting at the radio recently when there was a phone-in about picky eating and a caller said that she had clear rules about food and her children ate fabulously so it must be down to lax parenting when children are picky. Sadly this ignorant attitude is all too common and it feels so horrible to be on the receiving end of judgmental looks and comments. How can we move away from blame? Recognise the genetic component to picky eating: different children will react in different ways to the same situation. 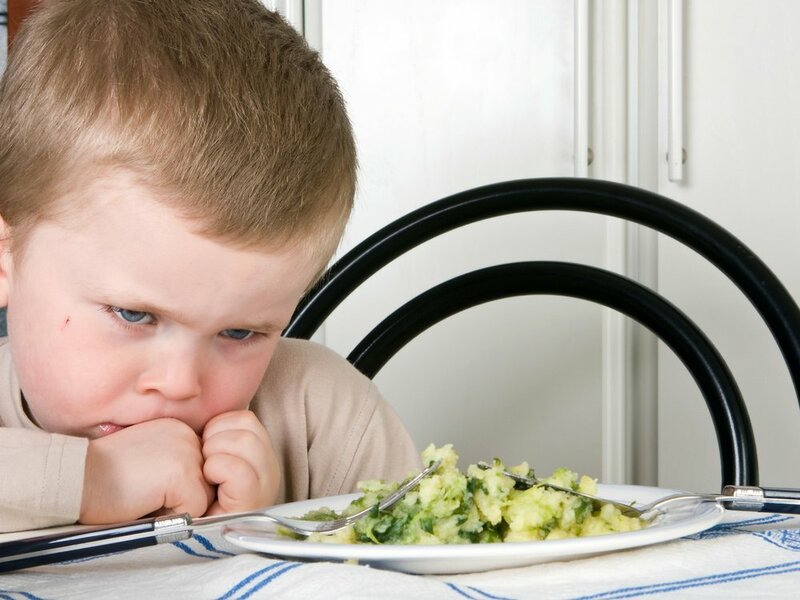 Some children have sensory processing issues, other children are naturally sensitive and others may be just a little anxious and unconfident about new things (and these are just a few of the possible reasons for picky eating). You only have to look as far as siblings with different eating behaviours despite a shared environment, to understand that personality has an important role to play. Give yourself a break: Why should you know exactly how to parent in relation to food? There is a real lack of information and advice available to parents about how to feed children. Here in the UK, we get plenty of breastfeeding support (some would say too much as there is a strong statutory anti-bottle feeding message). We also get a bit of information about weaning, but there’s nothing really out there about how to help children develop a positive relationship with food. This is not just my opinion – research backs this up too. As they say, children don’t come with a manual. Look to the future. There is a difference between recognising that you can make some changes and blaming yourself. Once you have learnt about new ways of approaching feeding, look forward, not back. We have limited time and energy available – invest it in positive emotions! I always tell parents that recognising that you may be part of the problem makes you part of the solution. Be kind to yourself, appreciate that anything you may have done before (that you have come to question) was done for the best reasons, with the sole intention of doing right by your child. "It's not your fault if your child is highly intelligent or wildly independent, has a cautious temperament or developmental delays, is on the autistic spectrum, is especially sensitive to flavors, or avoids certain textures; these factors are beyond your control"
Any competent feeding professional is looking to support you, not blame you. But until good quality information about feeding challenges is more widely available, sadly, society will judge. Stay firm in the understanding that if other parents (or anyone else) has an opinion on your child’s eating, it’s because they don’t understand the complex issues at hand. In order to fully support a child who is a very picky eater, you need to be extremely compassionate. You need to be able to see the world from their perspective and empathise with what it must be like to be sitting at their place at the table, so to speak. To move away from the toxic emotion of self-blame, the challenge is to extend some of this compassion to yourself. Appreciate that feeding problems can be really tough and that you have always done the best you could. If you have asked for help or have decided to make some changes to how you approach your child’s eating, recognise the courage that takes and feel proud that you have had the strength to reflect on this difficult and emotional challenge.